Nav arrived on Wednesday 4th October 2017. 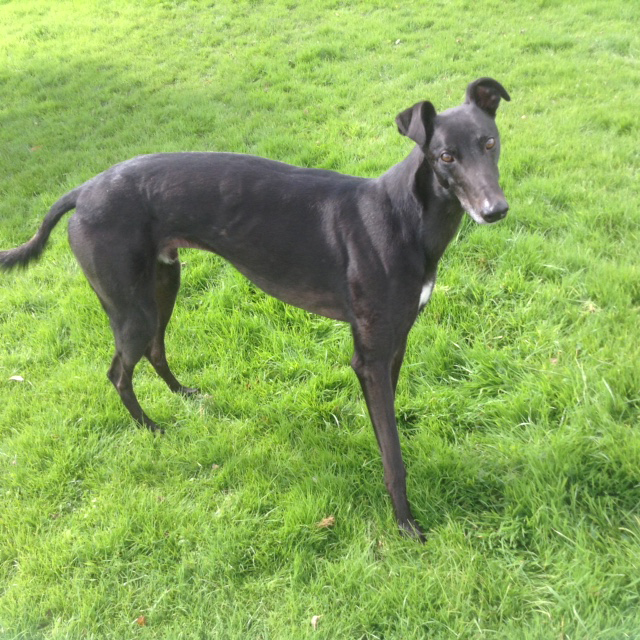 Nav is a black ex-racing greyhound who was born on the 19th February 2014 and weighs about 32kg. 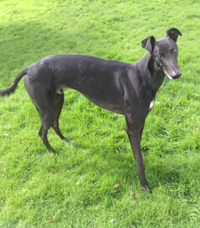 He is house trained, neutered, inoculated and microchipped. Nav is a quiet lad, a big softie and a 'leaner' who loves a cuddle, walks nice on the lead, travels well in the car and doesn't appear to bother with other breeds of dogs while out on his walks.